Because it’s a story that features so much tea and cake, and a run down cafe with its disheveled proprietor, Les Crumple, we thought we’d make use of tea stain textures throughout the illustrations. This has meant I’ve had quite a lot of fun rolling teabags across paper and squeezing them to drip and splatter across the page. 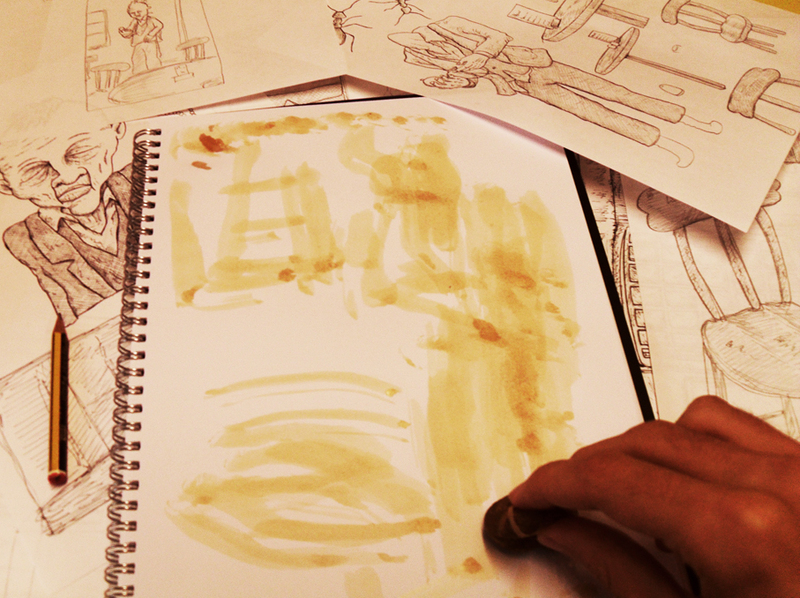 The images below show something of the process – with the tea texture layer being created separately from the drawings and blended with the colour image (of Les in his cafe) at the end. I like tea.